A guide to all excited parents! 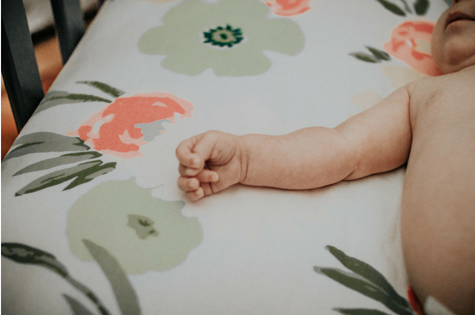 Planning a nursery can be an exciting time for expectant mums and dads, as they will be eagerly anticipating the arrival of their newborn son or daughter. If you cannot wait to welcome your precious new bundle into your home, you will want to ensure they have the perfect space, created just for them. To make sure your child has everything he or she will need, find out how to prepare a warm and inviting nursery below. The crib is often the focal point of a nursery. If you’re planning to buy the furniture online, you’d be wise to order one as early as possible, as you’ll need to leave enough time for delivery. Remember, there could be potential issues, such as many backorders or it could be damaged in transit. A comfy nursing chair is a must-have in every nursery. It can make those late nights or ridiculously early mornings much more bearable for new mums and dads. Try to pick a design that matches the style of your crib for cohesion. A baby might be small in size, but he or she will make up for it in endless items! If you want to keep a nursery tidy and organised, you must invest in storage. In addition to buying a chest of drawers and wardrobe, you should hang shelving, buy a toy chest, and incorporate stylish open baskets into the space. Doing so will make it much easier to grab an item when caring for a crying baby. As you might be aware, caring for a baby can be expensive! It’s important to look for ways to reduce your outgoings without compromising on your child’s quality of life. That’s why you should seriously consider cloth diapers. Instead of spending thousands of dollars on disposables, fill a nursery chest of drawers with cloth diapers, which can be easily cleaned. Flexible lighting will make parenthood much easier. For example, a soft light will not only help your child drift off to sleep, but it will also allow you to check on your baby without waking him or her up. However, you might want to create a brighter space when changing their nappies or finding an outfit in a wardrobe. If you want to create a loving, warm environment for your son or daughter, consider personalising a nursery with family photographs and colourful pictures. It may also help your baby boy or girl to start recognising familiar faces, so they’ll bond at a much quicker rate. If you want to add a pop of colour and fun onto a nursery’s walls, you should add self-stick wall borders and murals. Not only are they affordable, but they are simple to change if your child develops an interest as he or she starts to grow. This way, you can tweak the room without completely transforming the interior design. Looking for a rug for your kid's room?